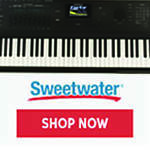 Register Log In Piano World Home Page Forums Digital Pianos - Electronic Pianos - Synths & Keyboards Yamaha P105 or P45? I've been looking to buy my first digital piano, having only dabbled with a keyboard in my younger years, I found the new P45 for 450€. However, I also found the older but seemingly better P105 for 499€. I heard the P105 has a better sound engine than the P45, since the one in the P45 is only a slightly upgraded version of the P35, whereas the P105 uses a different sound engine altogether. The only other option to me atm would be the Casio CDP-230R, however I watched a video of it online and the keys are definitely not very silent. I looked at the KORG SP-170S as well, however the way you change instruments on it seems like it could get in the way of playing the instrument. Last of all the Roland F-20 seems to be almost exactly what I want, however at 600€ it is also much more expensive than the others. Last edited by FormulaGoat; 05/24/15 02:03 AM. Yamaha p105 is better keyboard then p45, they share the same and not great GHS key action but have better sound, polyphony, options, etc. I dont like the GHS key action too much, not silent at all (far from it, but this is not strange because of low cost), clanky, and after some time of usage (very soon) you will notice that, no way to play at night with headphones near your family. Casio have much better key action in PX series, triple sensor. For me, Yamaha have better sound, but it is a matter of preferences. Anyway, for sound use MIDI and PC or Mac. Forget Roland and Korg in this class. The worst key action, terrible sound. Also try Kawai ES100. 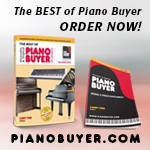 If I need to choose, I will put little more money and go with Casio PX150/350 or Kawai ES100 because of key action. Last edited by slobajudge; 05/24/15 03:34 AM. I have a P-35 and a Casio PX-150. 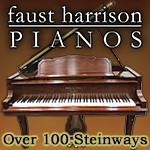 Both are excellent inexpensive pianos. The Casio has better keys, I think, but the Yamaha has better internal speakers. For a beginner, I believe any one of them would do. The P-105 too... Choose the cheapest. The F-20 is a great board. 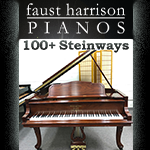 I played it in the store that also had the nee P-115 and the key action on the F-20 seemed a little more natural. The sounds are good also. Guitar, mandolin and banjo player, hobbyist producer. Thank you very much for your valuable input. I ended up buying the Yamaha P105 as it seemed like a very good deal for 200€ off and since the P115 did not seem like such a big improvement.